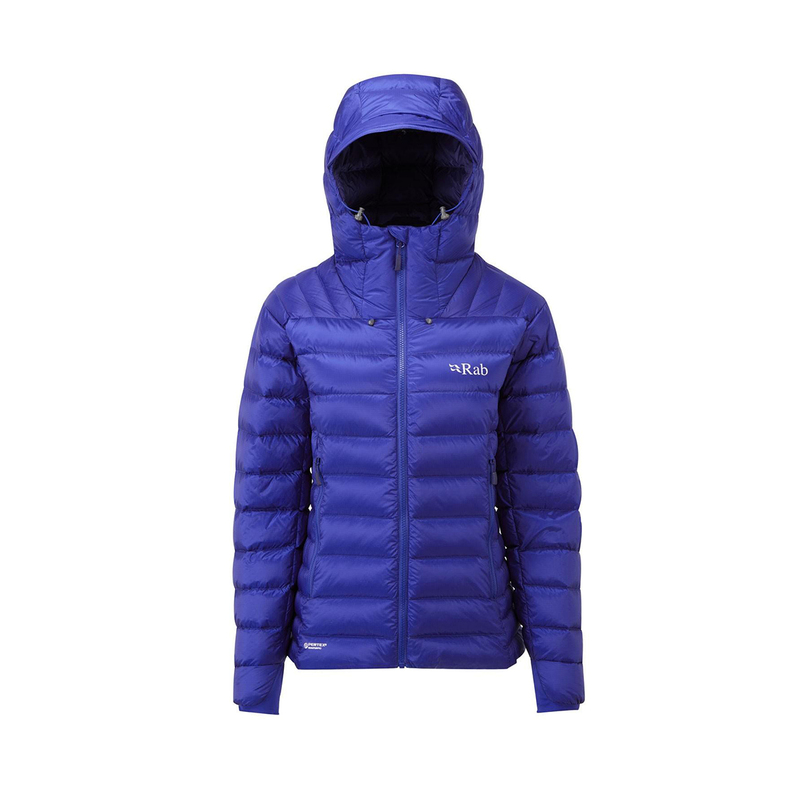 The Rab Women's Electron Jacket is a mid-weight down jacket designed for year-round climbing and mountain use. The 800-fill power European Goose Down insulation is very warm, packable, and breathable, and with a Nikwax Hydrophobic Down treatment will resist moisture to keep you warm in cold and wet conditions. The shell is a Pertex® Endurance outer with a nylon ripstop inner which is highly water-resistant, windproof, and very durable, to protect you from both the inside and out in adverse conditions. Features include varying size baffles to help reduce bulk and to eliminate cold spots. With technical features, comfort, and packability, the Electron will be perfect for mountain and day-to-day use. Coated water-resistant, downproof, windproof, and breathable fabric with a hydrostatic head of 1000 mm. Allows down to fully loft, resists moisture, protects against wind, and doesn't hinder breathability. Nikwax® Hydrophobic Down features the high-insulation, compressibility, and durability of natural goose down combined with the water-resistance of synthetic. Goose down is treated with an environmentally-friendly, PFC-free Durable Water Repellent treatment, meaning it absorbs 90% less water than untreated down, keeping you warm and protected even in wet and extreme conditions.